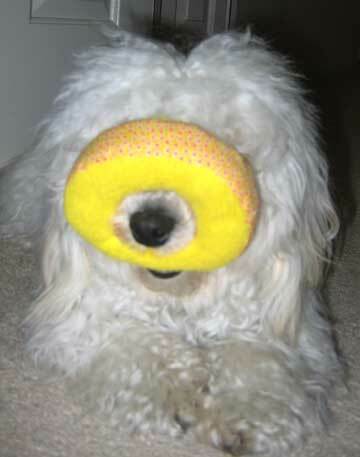 Mojo holding on to the donut, a part of a take-apart frog toy we found at Marshalls. The other parts are "hands", "feet", and the frog head. The base thing we really don't have a name for.